What is the weekly Torah reading really all about? 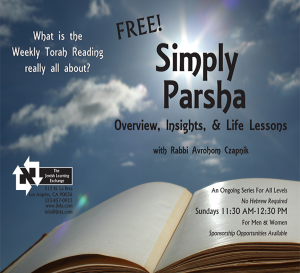 Rabbi Czapnik presents an overview, insights and life lessons on the week ‘parsha’. This is an ongoing series for ALL levels. No Hebrew required. Forth both men and women.